How does your vision changes as you age and what can you do about it? We are all well aware of how much physical strength wanes as we age. Not surprisingly, our eyes, similarly, decline with age, perhaps even with accelerating declination from age 60 onward. Specific age-related eye changes, such as cataracts or farsightedness caused by loss of elasticity of the lens of the eye (presbyopia), are perfectly normal and don’t signify a disease process. These are absolutely common along with age and can be readily corrected with treatment. Millions however, will experience more serious age-related eye diseases with far greater impact on their quality of life during the aging process. Diseases that cause serious vision loss and even sometimes blindness such as glaucoma, macular degeneration and even diabetic retinopathy will affect millions of people globally. When Do The Age-Related Vision Changes Begin? Passing age of 40 is typically a first trigger. You may begin to notice more difficulty focusing on close objects. This is normal. The lens inside of your eye is slowly hardening – presbyopia – resulting in related loss of focusing ability. Many people find that they can compensate for this focusing decline by simply holding their reading materials farther away from their eyes. Hence, the feeling that the older you get the longer your arms need to be. Eventually, proper reading glasses, multifocal contact lenses or multifocal eyeglasses are the correct solution. Corrective surgery options for presbyopia may also be possible; you can discuss CK and LASIK with your caregiver. Modern cataract surgery is extremely safe and effective so much so that100% of vision lost due to cataract formation can usually be restored. As you experience vision changes, possibly due to cataracts, do not hesitate to discuss the symptoms with your eye doctor. It is generally better to have cataracts removed before they advance too far. Artificial replacement lens implants, or intraocular lenses (IOLs), may be advised to restore ranges of vision issues. You may even reduce your need for reading glasses and/or distance glasses post cataract surgery with multifocal lens implants. The NEI counts over 10 million Americans past age 40 as having diabetes. Experts expect that as much as 30% of people with diabetes are undiagnosed. Best estimates show that 40% have diabetic retinopathy at some level and one out of every 12 people with diabetes in this age group has advanced, vision-threatening retinopathy. Controlling the underlying diabetic condition in its early stages is the key to preventing vision loss. Macular degeneration -age-related macular degeneration- or AMD, is a leading cause of blindness among seniors. According to the NEI (National Eye Institute) macular degeneration affects more than 1.75 million people in the United States. The U.S. population is aging rapidly, and these numbers are expected to rise to 3 million by 2020. There is no known cure for AMD although medical treatment may slow its progression and the hope is to stabilize and eventually cure it. Individual risk of developing glaucoma increases per each decade after age 40 – from around 1% during the 40s soaring to 12% at age 80. The number of Americans with glaucoma is expected to grow by 50% by 2020. If detected early, glaucoma can be controlled with medical treatment or surgery. Vision loss can be prevented, so get tested early and follow your eye doctor’s guidance. We should not only think of aging as it relates to presbyopia and cataracts. Subtle changes in vision and eye structure as well take place as we age. Retina cells, responsible for proper color vision, decline in sensitivity with aging. This causes color to appear duller with less contrast between colors. Blue color, in particular will fade and wash-out. Since treatment for this age-related loss of color perception is not conclusive you must be conscious of this loss especially if your profession (artist, fashion, etc.) depends on fine color distinctions. Muscles which control pupil size and reaction to light weaken with age. This results in smaller and less responsive pupils, to changes in ambient lighting. Due to this, people above age 60 require up to three times the ambient light for comfortable reading vs. age 20s. Seniors are also more likely to be dazzled by bright sunlight and glare when emerging from a dimly lit building. Eyeglasses with photochromic lenses and anti-reflective coating help resolve this issue. With age, the gel-like vitreous inside of the eye begins to liquefy and pull away from the retina, causing “spots and floaters” and “flashes” of light. This condition, called vitreous detachment, is typically harmless but floaters and flashes of light can signal the beginning of a retinal detachment – a serious problem which can cause blindness unless it is treated immediately. Contact your eye doctor immediately if you do experience flashes and floaters. Aging bodies produce much fewer tears. This is especially true of women, postmenopausal. Any experience of burning or stinging, or for that matter any other eye discomfort such as dry eyes, should be brought to your eye doctor for immediate help. You may be advised to use artificial tears or prescription dry eye medication to provide increased comfort. Aging causes a normal narrowing of peripheral field of vision. The size of visual field decreases by approximately one-to-three degrees per each decade of life. Ages 70-80s can expect a peripheral visual field loss of 20-30 degrees. Because a loss of visual field increases the risk for automobile accidents, increased caution is called for when driving. The decreased range of vision requires more specific head-turning to scan all directions at traffic intersections. Much can, and should be done, to lower risk and increase life quality to age more gracefully. Healthy diet and wiser lifestyle choices begin and end with more regular exercising. Maintain a healthy and steady weight. Reduce stresses to absolutely controlled and low levels. No smoking! Healthy, natural choices are the ideal defense mechanisms against vision loss. 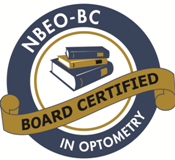 Schedule regular eye exams with a caring optometrist or ophthalmologist. Discuss all concerns about your eyes and vision with your eye doctor. Record and explain any history of eye problems in your family and any related health problems you may have. Be sure to clarify with your eye doctor the specifics of any medications you take, including non-prescription vitamins or supplements.